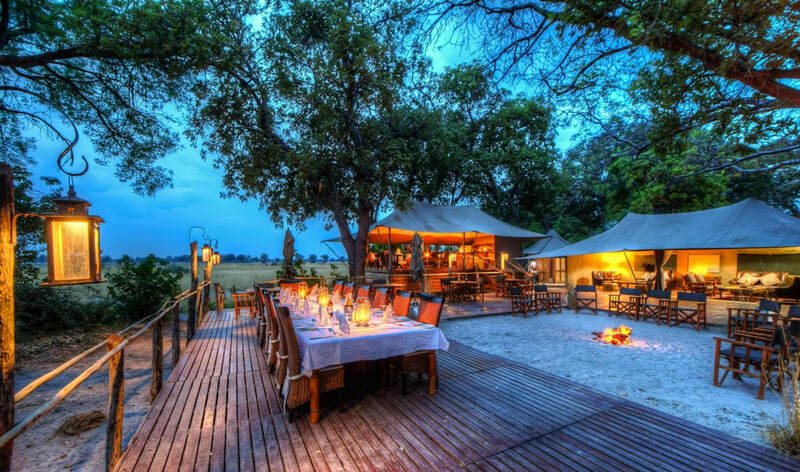 Kadizora Camp is set in an extensive private concession in the north eastern Okavango Delta. 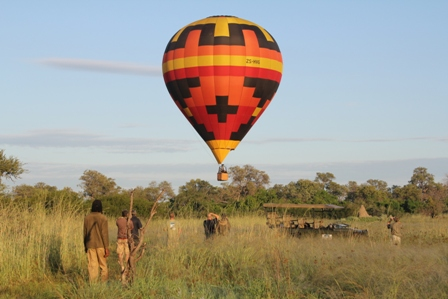 This section of the Delta features wonderful expanses of savannah, interspersed by lagoons and tributaries of the Okavango River. 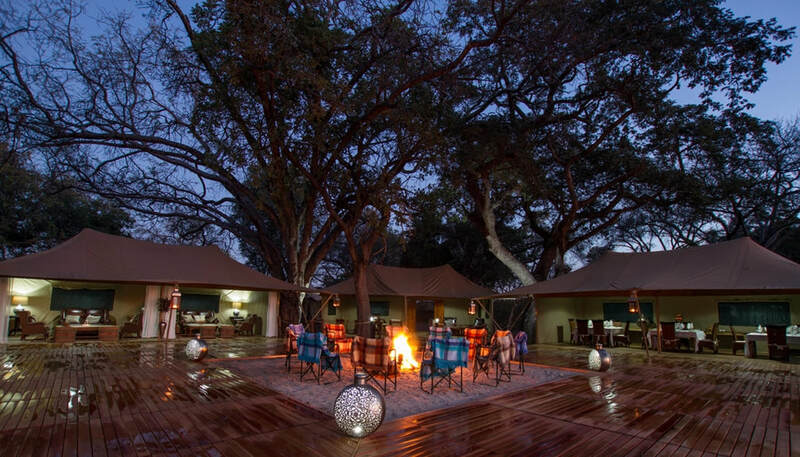 Kadizora Camp is set on the banks of a tributary, under a canopy of trees. The setting forms a peninsula, allowing for exceptional views of the Delta and surrounds. 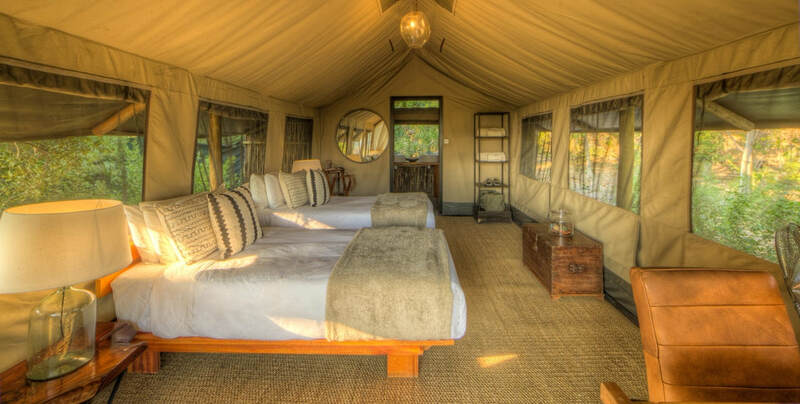 There are only 10 tents at Kadizora, each positioned to allow for total privacy. 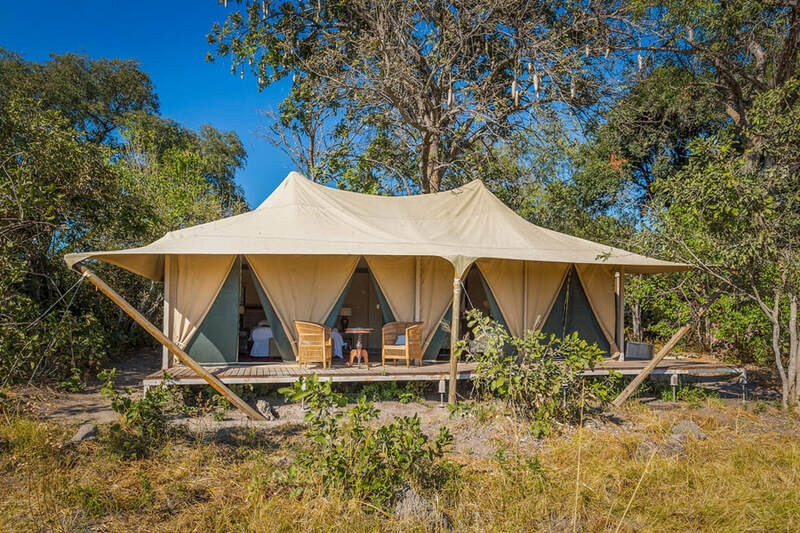 This is a luxury Camp, and the tents are spacious and custom designed, each featuring an en suite bathroom with a feature bath, his and hers vanities and outdoor shower. 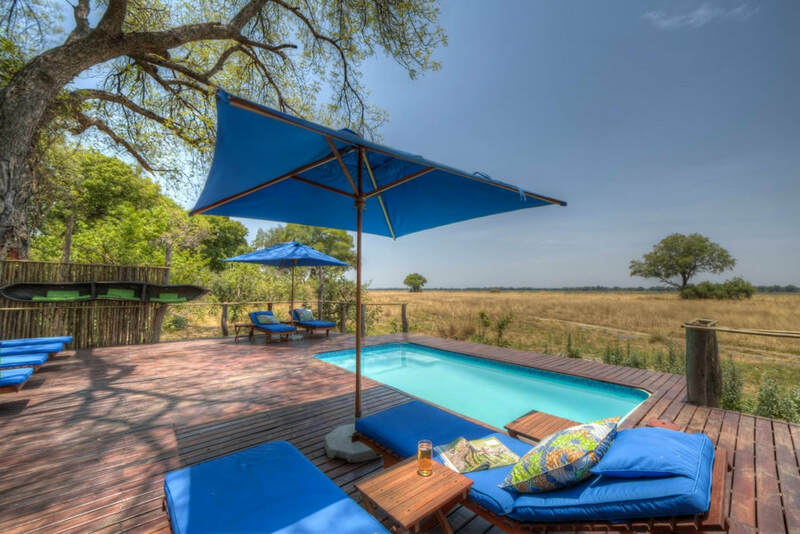 You enjoy the use of a private deck too, allowing for some relaxed game viewing.